January – You will be in top form in the office and sparkling with your scintillating wit and conversation. Others might see you as pushy, which is totally uncharacteristic of you charming sign. You could surprise your bosses this month and they will take notice of your communication skills. You will be seen as the new dynamic force in the workplace and the one to be watched. February – This could be an awkward month for Libran people where small tiffs turn into much bigger ones. It is unlikely that you are the direct cause of these quarrels. You may be called upon to hear both sides of the argument and sort things out. Your charm and ease of communication with others will help sort out the disharmony and all will be well. March – Libra monthly charts reveal that you may feel a bit sad for no good reason other than you feel a little out of balance in your health. It could be that you have been working too hard and need more sleep. It might be a good month to take a short break away from everything and spend some time with family, friends and loved ones. You might need to sue your creative skills to redress this imbalance in the way you feel. You derive such pleasure from all artistic pursuits. April – This is a hard-working period for Libran people and it will fly by. You will be so engrossed in a new project that you will not notice the passage of time. You may have to face a confrontation with others who are not receptive to your charms and you could find this tricky. However, if you stay positive all will work in your favour ultimately. Have faith in yourself and the people who do believe in you. May – This is a good month for those born under the sign of the Scales. You are likely to have many invites to different events. This will fill you with excitement and you will be chatty and witty. Others will admire your energy- levels which will be high. You will feel good and others will see this positivity within you. The time will pass quickly and once again you will be wondering where time has gone. June – This month is destined to be about personal relationships. You will spend some quality time with family and friends. You may also start to develop a relationship with an older person who takes a real interest in you. This is a meeting of like minds and you will communicate on a highly intellectual level. Gifts could be exchanged as well as invitations to respective homes and introductions to both friends and family. July – You may feel like escaping routines this month and will benefit from some time away. A short walking holiday would do you the world of good and the chance to walk up mountains or go on a train ride through some stunning scenery. Whatever you decide to do, you will come back refreshed with your lungs full of oxygen and your brain in gear, ready to face anything. August – Libra monthly study shows that older people may be a cause of concern to you this period. If you are caring for an elderly relative you may have some worries about that person’s health. You will have noticed a deterioration. There could be a spell in hospital for that person or authorities may decide new arrangements have to take place on the domestic front. Either way, there could be a change. Try not to be too upset. The elderly person will be put in good hands. September – You may find that whatever you do this month, it is not the right thing. This is only your opinion. Others will find you witty, charming and bright. They will love being with you. Try not to be too critical of yourself. Other see that you can do no wrong. Only a partner might agree with your assessment of things, but they are deliberately trying to cajole you. 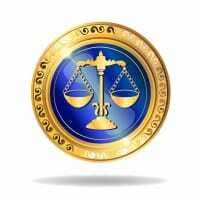 October – This month is an excellent period for Libra people to excel. There will be lots of social invitations and work will be going really well for you. In both your professional as well as your personal life. You will be very happy. People will notice you because of your bright engaging personality and you will enjoy the attention. This is likely to make you even more outgoing and friendly. November – You will be the life and soul of the party this month and eager to speak to people. Others will be pulled towards you because of your charm and wit. You will be full of jokes and laughter will follow you around the room. There is a more serious side to you, of course, but in public you will be a social butterfly, charming the pants off everyone you meet. December -This is a lucky period for you where lots of social engagements will make you feel full of life. You will be on-top-of-the-world and there will be much laughter and happiness. There are likely to be lots of celebrations and the parties will be in full swing when you make your entrance. Enjoy life! You will have made the right decisions and have every reason to let your hair down Libra.